Beach: Best Escape Anyone Can Have – is what it stands for. Yes, and this is true for me too. I love beaches, not only for their vivid colors, views or waves but they help me get back to “me”. I can sit for hours, admiring and getting lost in the waves. Each coming wave tells me to come out of my comfort shell, expand the horizon and not to get tied away. They tell me that let the worries drift away and think deep. Beaches make me feel heaven is much closer. Ya Ya! A lot of philosophies. Let’s come straight to Patong town & the beaches in Phuket Thailand. Patong town is the center of attraction of Phuket and is famous for tourist nightlife and shopping. In fact, people often describe Patong town as a quiet relaxing place during the day which becomes a huge party town during nights. So, here in this post, I have listed the activities to do during day and night, which I explored recently. I explored that in and around Patong Village there are many beaches. In fact, the whole of the Patong village is built around beaches. So you can spend days relaxing, sunbathing, taking views and enjoying water sports at beaches. The nearby ones are Patong beach, Freedom Beach, Kalim Beach etc. The Patong beach is widest of all the beaches here. It spreads over 3 km with a wide strip of golden sand around it. At the beach, one can explore parasailing, speed boating, cable skiing, target shooting etc and on the other side of the road, there are lots of vibrant shops which lure you to shop and restaurants to chill out. Just next, to the Patong beach is the Kalim beach. It is an extension of the Patong beach and is rockier and surrounded by hills. No water sports or activities happen on Kalim beach. You can just take awesome views from here. The freedom beach lies on Phuket’s west coast. It is difficult to access and is very quiet as compared to other beaches. There is hardly any noise except that of long tail boats. One can enjoy beach soccer, beach volleyball, and snorkeling here. Phuket is rich in waterfalls too. Few of them are Bang Pae, Tonsai, Layan Bay and Kathu Waterfall. 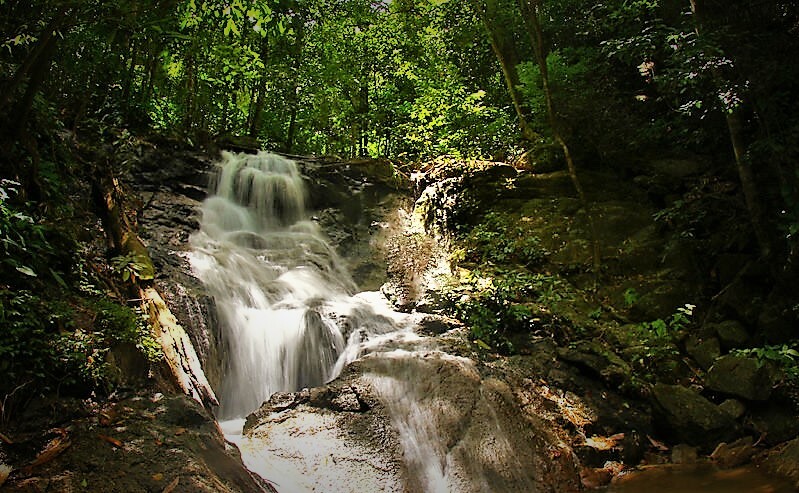 I suggest you ride to Kathu Waterfall as it is near to Patong town. From Patong head towards Phuket town, then turn left at the traffic lights next to the Caltex gas station, pass the local Kathu market and you will reach the road following Kathu waterfall. There is a climb before you get to see the magnificent views. But I am sure, once you reach and see the view you will forget everything and will say it is worth climbing. 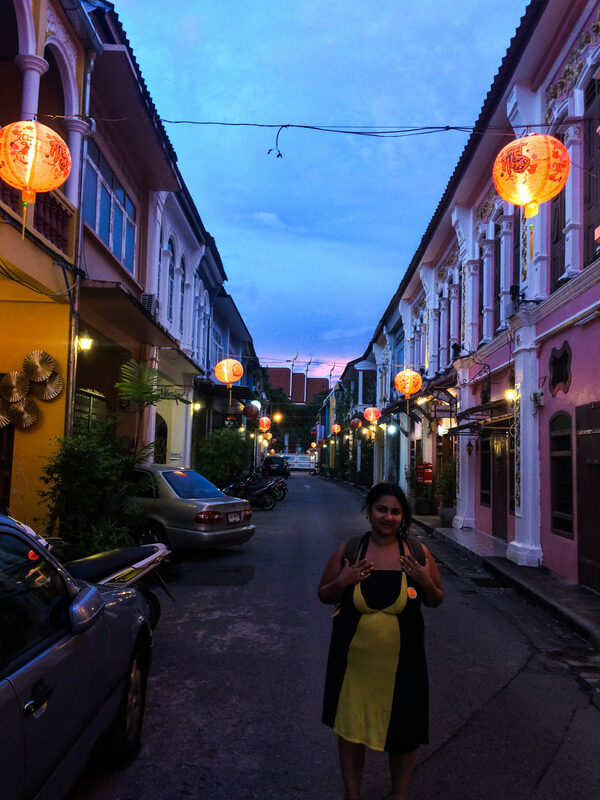 Explore the 18th century old Phuket town on foot to take an authentic feel. Here, click pictures and admire lots of colorful buildings influenced by Sino- Portuguese architecture. Many of the old buildings have now been converted to hotels, restaurants, coffee shops etc. Besides this, you can explore nearby Chinese temple. The vegetarian festival happens in September – October. During this festival, people refrain themselves from meat and other stimulants to obtain good health and peace of mind. Meat dishes are replaced by soya and protein substitutes. Thailand trip is incomplete without Thai massage and Patong is a hub for the same. There are many small and large establishments offering various types of massage package which eases your aching foot and relax the body, mind, and soul. If you get a chance, also try an ancient massage at Temples such as at Wat Pho in Bangkok. (You can read my post on Bangkok here – 10 places not to miss during Bangkok trip). The Bangla Road is the lifeline of Patong and it gets a life when the sun goes down. I mean it’s quiet and just like a normal road during the daytime and the actual activities come into action only during the evening. The road on both sides gets packed with bars, restaurants, clubs, and shops. The walking street gets colorful and flashy. Late night bars pump out music at full volumes and many places host live music. The touts are seen everywhere selling services of ping pong and strip shows. Strip poles are placed on the club edge and many pole dancers are seen dancing on the road itself. The best part of this place is – it is safe and you can hop to a party any time at night. Boxing is a famous sport of Thailand. You will find many small and big fight rings in the town. But for a real experience, see Muay Thai Boxing at Bangla Boxing Stadium. There is a huge advertisement for the fight through loudspeakers and sometimes fighters themselves promote the event. The fight happens thrice a week from 9:00 pm – 11:30 pm on Wednesday, Friday, and Sunday. Ticket for the boxing is priced between 1700 THB – 2500 THB. The Simon Cabaret located around the Patong beach hosts most respected and famous Lady Boy cabaret show in Phuket. The show hosts spectacular musical floor with impressive sets and ladyboys dressed in beautiful costumes. All the performances are well choreographed and songs are in Thai, Japanese, and Korean. The show has fixed timings and it happens for 70 minutes. The ticket costs for Simon Cabaret costs around 800 THB – 1000 THB. After the show members of cabaret pose outside for a photograph with the audience for a fee. Opt between Phuket Fantasea and Siam Niramit if you are on a family trip. The two are almost similar. Phuket Fantasea is a night theme park complex which features circus performers and a large number of animals to depict the traditional Thai story. Space encompasses games, shopping village, bird cave and floating village. The dinner buffet is served before the show. The show happens for 1 -1:30 hrs and costs around 188 THB. 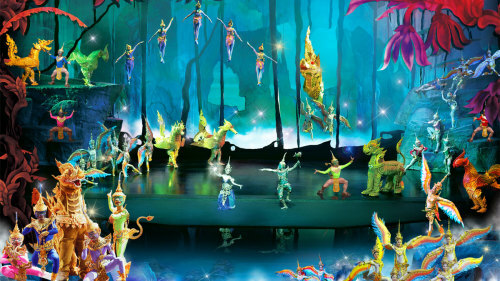 Siam Niramit also hosts another spectacular show on the world’s highest stage. The whole show is a delightful picture of Thai culture and beliefs mixed with humor, dazzling costumes, and spirituality. There are lots of incredible dancers giving their best. Here also enjoy Thai buffet dinner is served before the show. The show timings are from 5 pm – 10 pm and ticket costs between 1500- 2350 THB. So, let us know which one of these you included in your Patong town, Phuket trip. Apart from these options, there are many beautiful Islands around Phuket Town which can be explored taking a day trip. Do read the day trip to Khao phing kan James bond island here. Patong Town seems to have a lot of entertainment, that waterfall looks amazing! Love your post! Thank u so much. Ya Patong is beautiful. I could spend more time there. Neha I was there for almost four days and found three days were good for Patong. Wish you plan soon and have lots of fun on your trip. I agree with you Tom at so many of the points. It has become one of the biggest tourist hubs. In fact, everything revolves around tourism and you hardly get to try any local cuisines and culture. On the roads lady boys and massage girls try to pull you forcefully. I had no idea about the waterfalls. The one in the picture looks really lovely. I bet these are really full in the monsoons. Not sure about the monsoons. But they were good during my visit. Ariane it has become too touristy and crowded but still worth traveling during off seasons. I always prefer that. I understand we miss on certain things too during offseason but still better can be experienced with less of people. I haven’t been to Thailand yet! I think I like the waterfalls the most as I’m someone who prefers to visit those non-touristy places! It would be fun going to the Cabaret and Siam Niramit as well! You can try the place during off season. It is less crowded. And ya these shows are fun for sure. Woow! The town of Patong looks quite incredible with so many happening events and activities. Though I hate overcrowded places, I would not mind exploring the vibrant shows of Thailand. The waterfall looks quite secluded and totally my kind of place. Yes waterfall is secluded and great. And shows too are worth experiencing. When I started reading, I thought this was going to be a beach post, but you proved me wrong! There is so much to do in Phuket! The shows look really cool, but of course one could not go to Thailand without getting a Thai Massage. It is incredible that they get the elephants to line up like that! Yeah Thailand has so much to offer along with beautiful beaches. This is just one part of Thailand. Phuket is one of those places that never stop calling a tourist. I missed my chance of being there, despite travelling thailand for a few weeks. Yeah I agree with you. It is not an offbeat place but some experiences are worth trying for. I’ve never been to Thailand but I want to go. I love how there are so many different things to do there from lying on the beach to walking around historic buildings. I love historic old towns, so that’s probably where I would go first. I also love going to a show, so I think I’d like to try the boxing or cabaret! Stella I am sure you will have a great time and you will cover the whole experience wonderfully in your words. Beautiful looking beaches and waterfalls. I don’t think three days would be enough for me to see everything. Ya one can spend more than three days for sure. I did expect the gorgeous beaches but the waterfall is something else. It does seem less touristy than Phuket. Loved the pics. Thanks Ami. I always say go in the offseason. You will enjoy more. Patong Town looks pretty happening and interesting too. Sometimes one needs to get away from the beach and explore the towns. 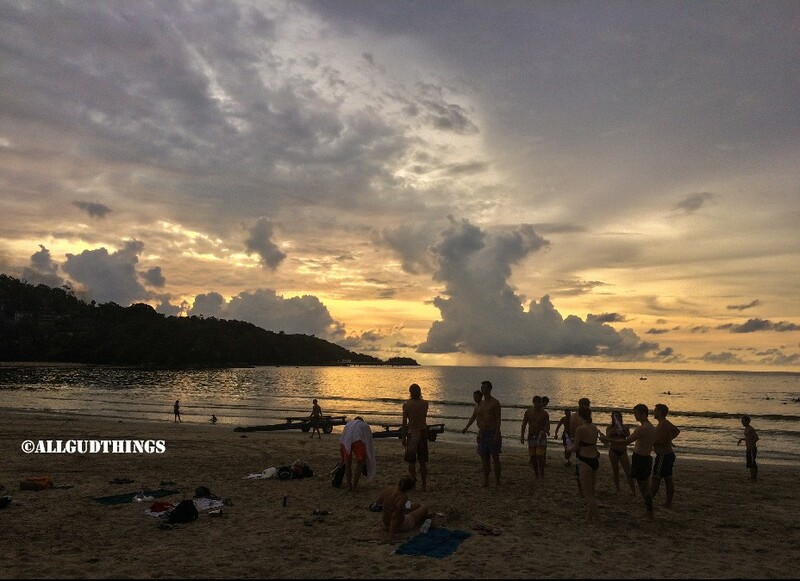 Patong looks promising, there are so many things to see and activities to experience that there is never going to be a dull moment. I for one do fancy the Muay Thai boxing bout. I have not had a chance to visit Phuket yet! Looks beautiful. The cabaret show looks so vibrant! I would love to visit the freedom beach. Blue water and less crowds. My kinda place. I’ve never been to Phuket. The Cabaret show looks so vibrant and full of life. The freedom beach is definitely something I would love. I love quieter beaches with less crowds. The waterfall looks quite magnificent as well! I actually haven’t been to Phuket but one thing I know for sure when I go there is to relax on the beach. 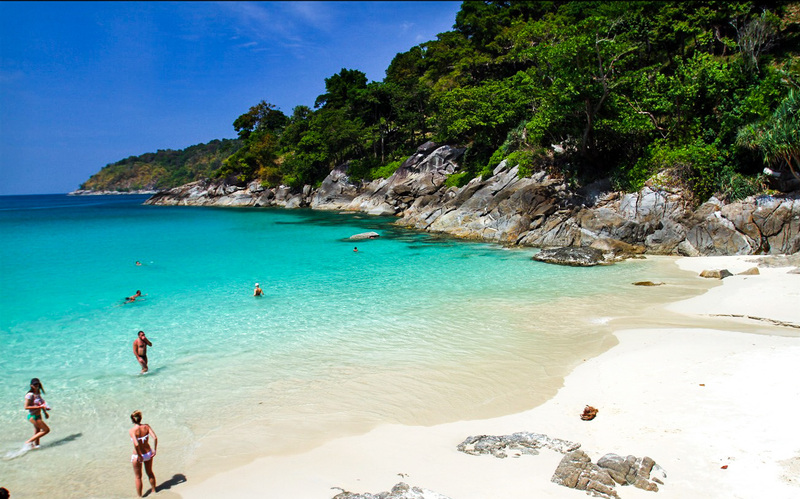 Phuket is known for its beautiful beach! 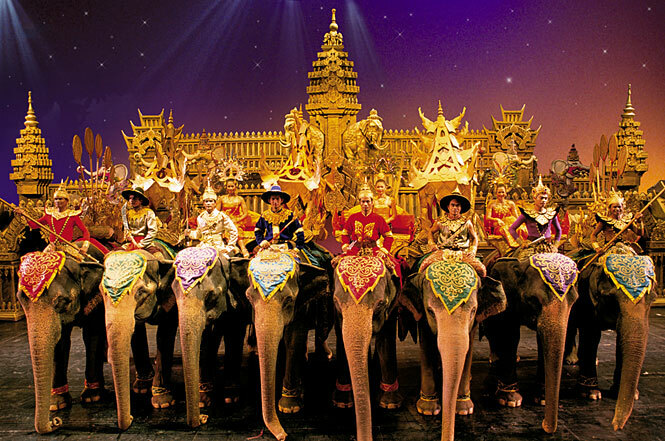 However, Siam Niramit uses elephants for the show? Not sure if this is acceptable or just part of Thai tradition, however it is, animals here are not abused. I love Thailand though, such one of a kind! I have to admit Patong was not one of my favorite places in Thailand but the nightlife was well an eyeopener (and I’ve partied in some notorious places around the world haha) I do admit the beaches in around it were amazing, we spent quite a bit of time down in Karen bay too. Did you get down there?